A letter from Eleanor of Aquitaine when she was still Queen of France. In the name of the holy and individual Trinity. Amen. I, Eleanor, by the grace of God queen of the Franks and duchess of the Aquitainians. We wish to make known to all the faithful, future as well as present, that we, for the redemption of our soul and [that] of our ancestors and for the redemption of the souls of the ancestors of Louis, king of the Franks and duke of the Aquitainians, our husband, have given and granted in eternity to God and the knights of the Temple present and future who were established for the defense of holy Christianity against the unfaithful pagans, the mills which I had at La Rochelle and which Isembert of Castre Julie held in his lifetime and which Gangan of Taunac reclaimed from the gift of the count of Poitou and that Gangan gave them to the said knights of the Temple. Besides that we have given and granted in eternity to the knights of the temple the houses which they had at La Rochelle, occupied by them, that is within their enclosures utterly free and immune from all custom, infringement and legal exaction and tallage and violence of our ministers except our toll. Whoever should wish to give to those knights of the Temple anything from our fief by which we do not lose the service of our men, that we wish and grant. Also we have given and granted to said knights of the Temple that all the possessions of those knights throughout our land may go and come securely and freely without any custom and without any charge/tax either by land or by water. That this deed/charter may obtain the perpetuity of stability, we have commended it to writing and strengthened it with the authority of our seal and the writing of our name. Enacted publically at Lorrez-le-Bocage, in the thousand thirty-ninth year of the incarnation of the Lord, the third of our reign, with those prsent in our palace whose names and signs are inscribed below. The sign of Ralph count of Vermandois and our seneschal. 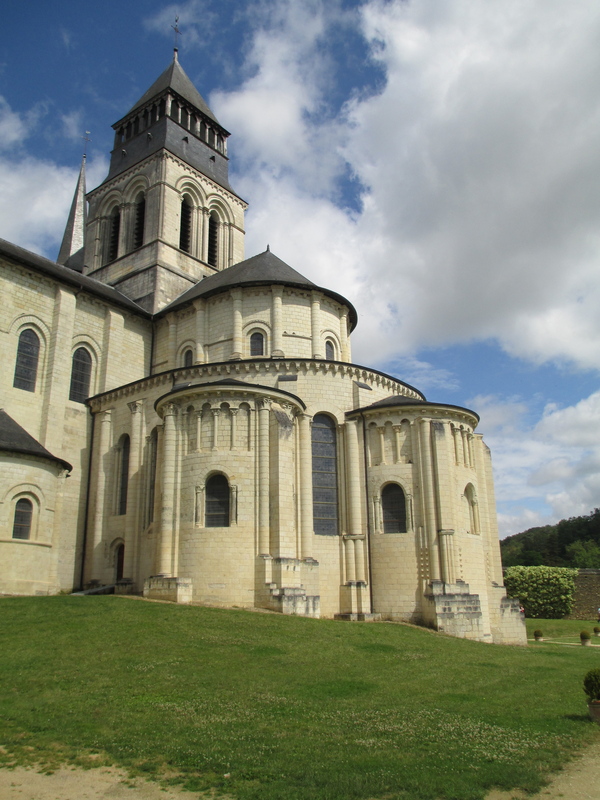 Fontevraud, Robert d’Arbrissel and Monasticism. 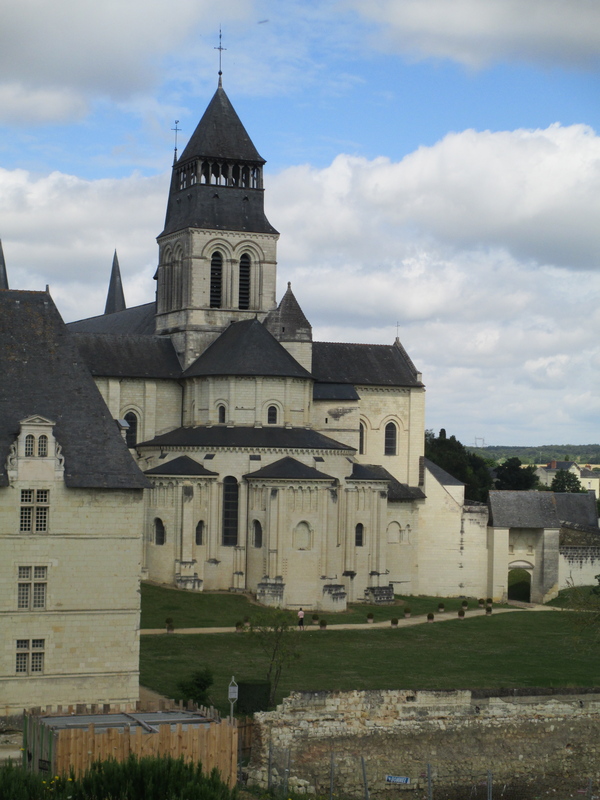 Fontevraud has appeared in some of my other posts because Henry II, Eleanor of Aquitaine, Richard I and Isabelle of Angouleme are buried there. It is, however, an absolutely fascinating place in its own right and one of the most beautiful buildings I’ve ever seen. 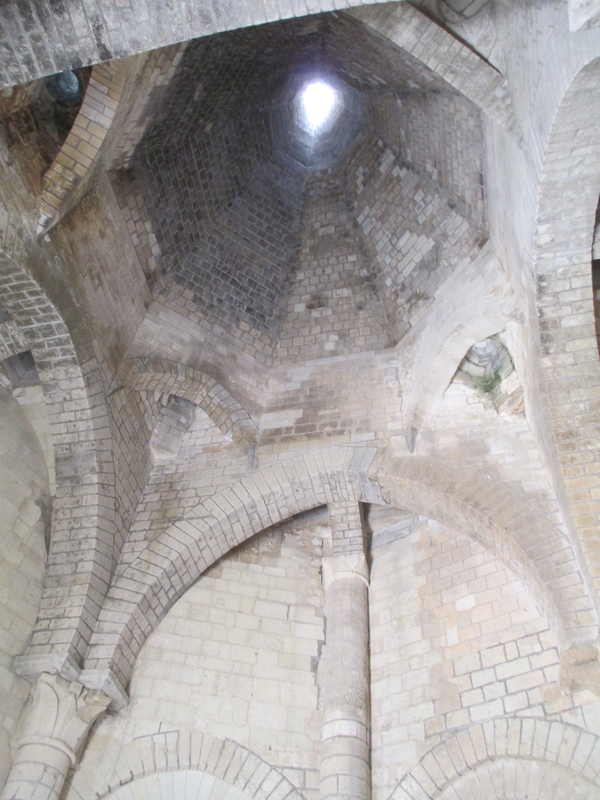 Fontevraud was founded in c. 1101 by Robert d’Arbrissel. 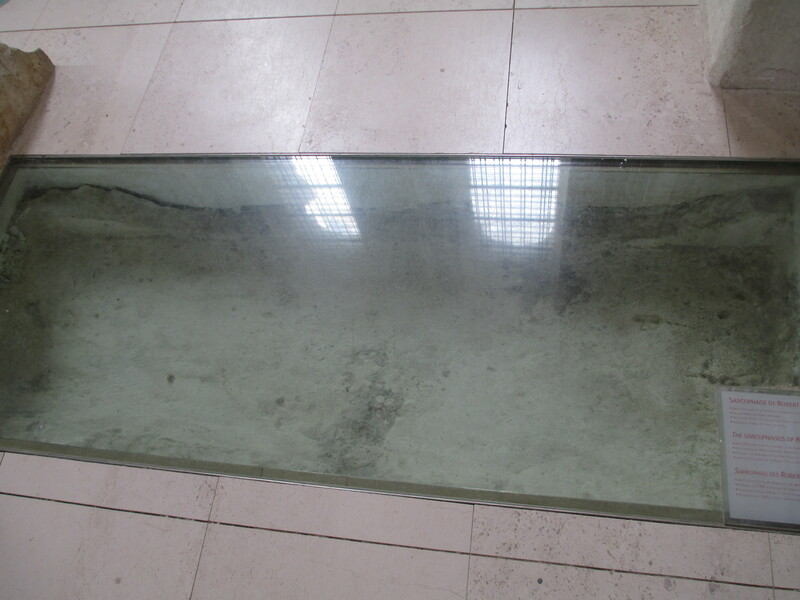 The remains of his tomb can be seen below. Robert d’ Arbrissel was an enigma even in his own time. Fulke V of Anjou described him as a thunderclap of holy exhortation which lit up the whole church with its eloquence. Peter Abelard, a fascinating figure in his own right, called him “That outstanding herald of Christ.” But many contemporary churchmen viewed Robert as a danger to his own soul and the souls of his female followers. Robert was everything from a parish priest, to a student, to a hermit, but he has been remembered as the founder of Fontevraud. 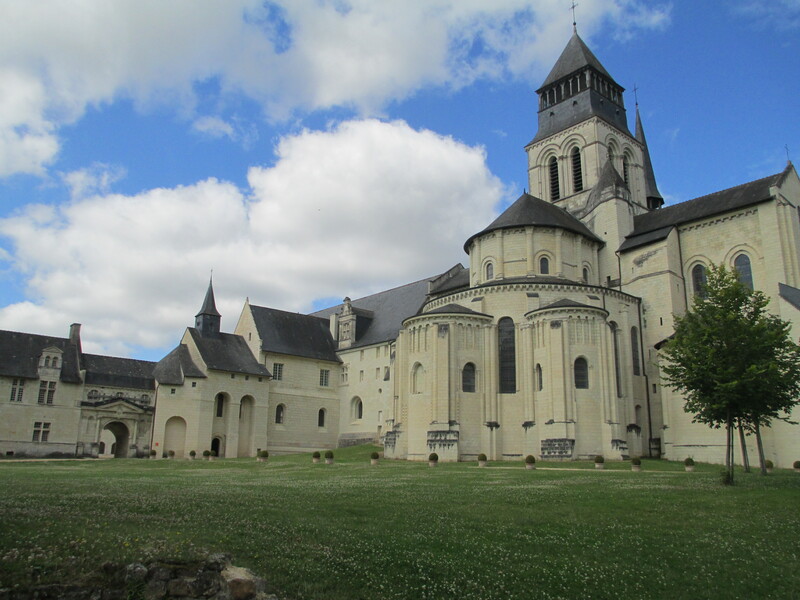 Fontevraud was an atypical abbey even for its time because it was founded as a mixed community of men and women and the Abbess ruled over the whole community, male and female. This was exceptionally unusual. The fact that many of Robert’s followers were women was part of the reason he was distrusted, but was also in a way a product of his times. With older men marrying much younger women widowhood was common, but it is clear at Robert’s message and personality attracted not only widows but unhappy wives. Some of his followers were also former clerical wives cast aside in the newer push for chastity amongst the clergy. This was also a time where clerical celibacy was seen to imply a strict separation of men and women in religious life. An ideal that Robert definitively did not share. (Venarde, xi-xxix). In fact it is quite possible that the majority of Robert’s followers were women. The only piece of surviving spiritual writing from Robert himself is directed to Countess Ermengarde of Brittany who was the sister of Robert’s main patron Count Fulke V of Anjou. The walls of Chateau d’Angers the home of the Counts of Anjou, though these were built after the time of Count Fulke V.
Ermengarde herself was fascinating. She was the daughter of Fulke the IV of Anjou, engaged but never married to Duke William IX of Aquitaine, the grandfather of Eleanor of Aquitaine, and then the wife of Count Alan IV of Brittany. She was her husband’s regent while he was on crusade from 1096 till 1101. She became dissatisfied with her marriage and attempted to end it through flight and an appeal to an ecclesiastical court, but she failed to get the annulment. It was shortly after this in 1109 that Robert wrote to her. She was described by poet-bishop Marbode of Rennes, who hated Robert, as powerfully eloquent, extremely astute and the glory of Brittany. 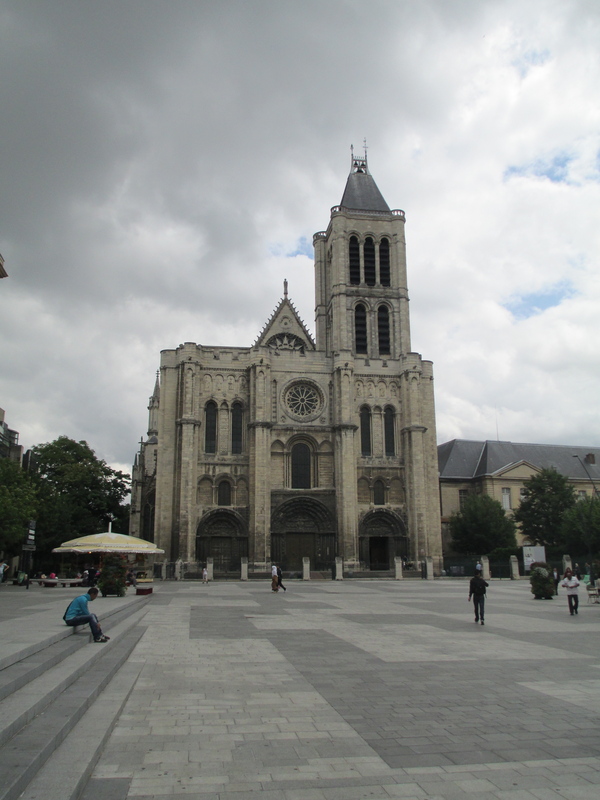 In later life, after her husband retired to a monastery in 1112, she played an important role in the court of her son before following Bernard of Clairvaux to Burgundy. Bernard himself was an interesting figure, if very strange and in my opinion quite annoying, and I will write more on him in a later post. In Burgundy she became a nun before going with some fellow nuns to the Holy Land where her brother Fulke was King of Jerusalem. She returned to Brittany where she remained active at the court until she died in 1147. The extent of her relationship with Robert is unknown, it is possible that she visited Fontevraud but it can’t be proven. The letter he wrote to her just after she attempted to have her marriage annulled is very interesting. (Venarde, 68-69). It is too long to go into great detail here, but a basic breakdown is possible. 3. Take heart and be strong. 4. Do not regret too much that you are bound to an infidel husband. You can still benefit God’s people. 5. Don’t be too anxious about changes of place and appearance. 6. Fear not enemies of Christ for they will not harm you unless God allows it. 7/8. Do not get puffed up by good fortune or shattered by adversity, for those who fear God want for nothing. 9. Believe, love, hope in God, do good, settle in the land of your heart and feed on its riches. 10. Flee the wicked words of savage men in your heart. 11. Alms and prayer are good if done for God but profit nothing if done for the praise of mankind. 13. You can not get out of your own marriage but you should do what you can to get your daughter out her her’s as it consanguineous. 14. Don’t disclose all your plans to all your household and friends, many are self serving. 15. Exercise caution and discretion in all things. 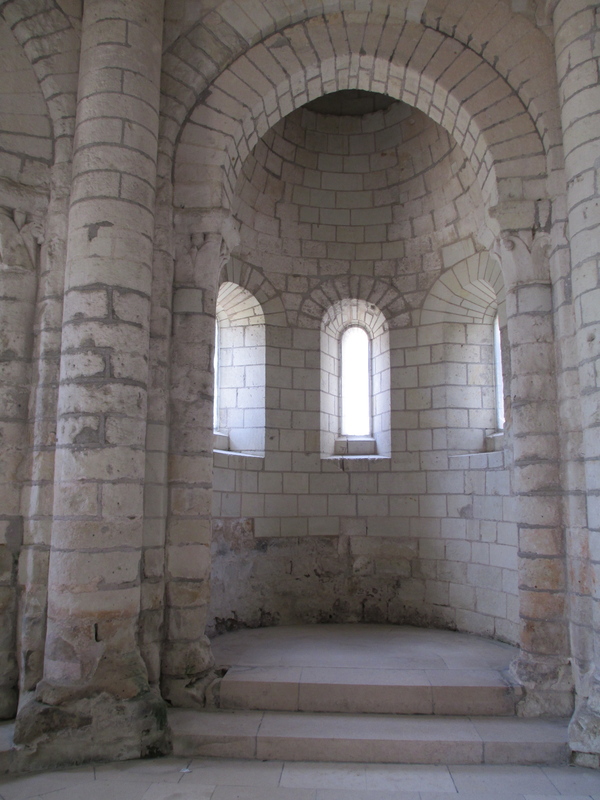 Fontevraud also rose out of a period of change for monasticism in general. There was the beginnings of a shift in the way monasticism was practiced. The Cistercians rose out of a reaction against the interpretation of benedictine monasticism which created great wealth and power for the institutions, not the monks themselves necessarily. The best example of this was the monastery of Cluny which was founded in 910 and financed by Duke William I of Aquitaine. 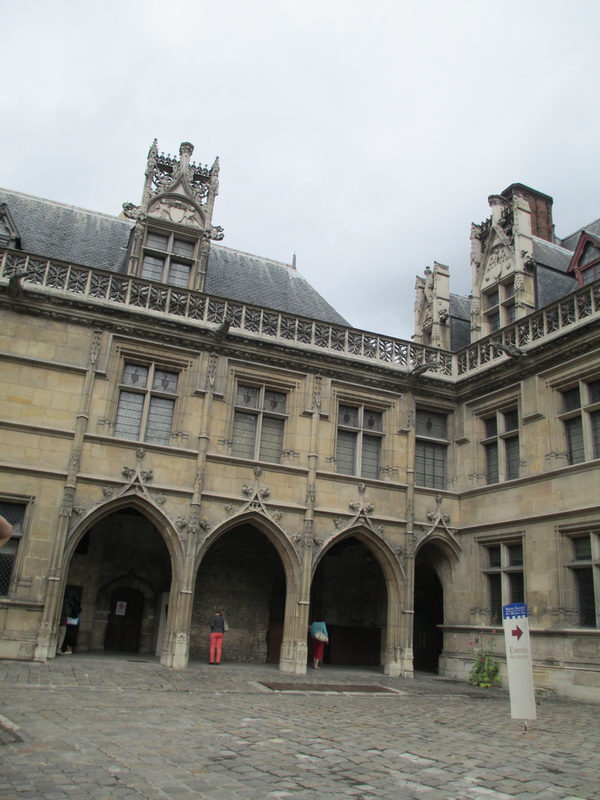 Cluny created a number of brother and sister houses which answered directly to Cluny. By Robert’s time it had gained exceptional wealth. The Exterior of the Musee du Moyen Age in Paris. Which was originally the Paris townhouse of the Abbots of Cluny. The Cistercians were a reaction against the opulence and focus on wealth that Cluny represented. They favoured a strict adherence to the rule of Benedict and Bernard of Clairvaux was one of the leading lights. The Cistercians wanted to go back to the basics and their monasteries were heavily focused on self sufficiency, simplicity and were often remote and agrarian. 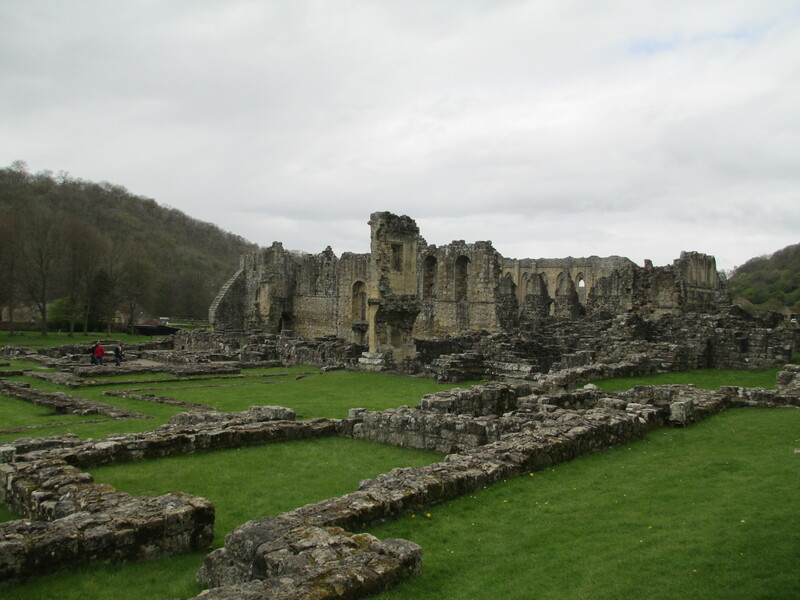 Riveaux Abbey, a Cistercian abbey in England. 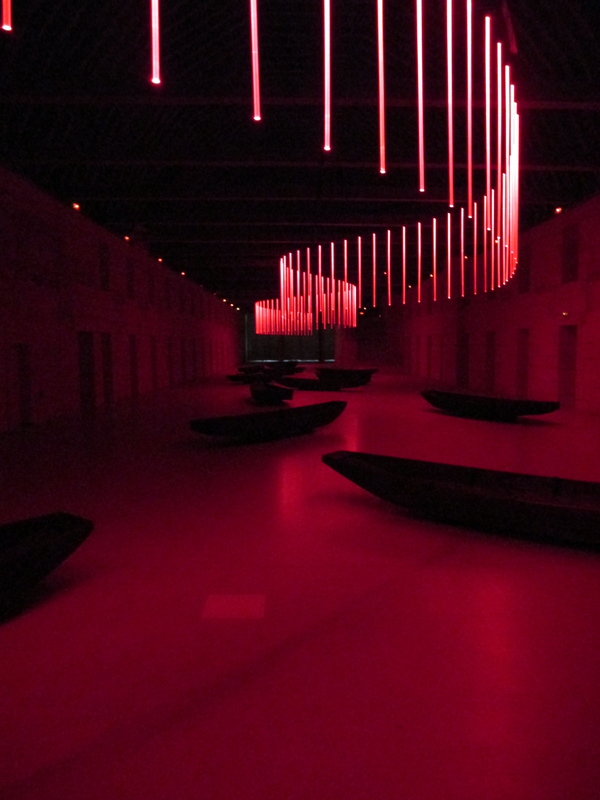 Robert’s Fontevraud was different again. In c. 1101 Robert settled his followers at what would become Fontevraud. Until that point he had been an itinerant preacher, albeit with a significant number of followers including a number of noble women. In fact he departed to continue preaching by c. 1103 having seen the beginning of permanent monastic settlement and appointed two female superiors. However it was not until October 1115 that an Abbess of Fontevraud was appointed after Fontevraud has been recognised by papal authority. Robert’s intentions for this mixed community were never exactly clear, except for working towards spiritual excellence. 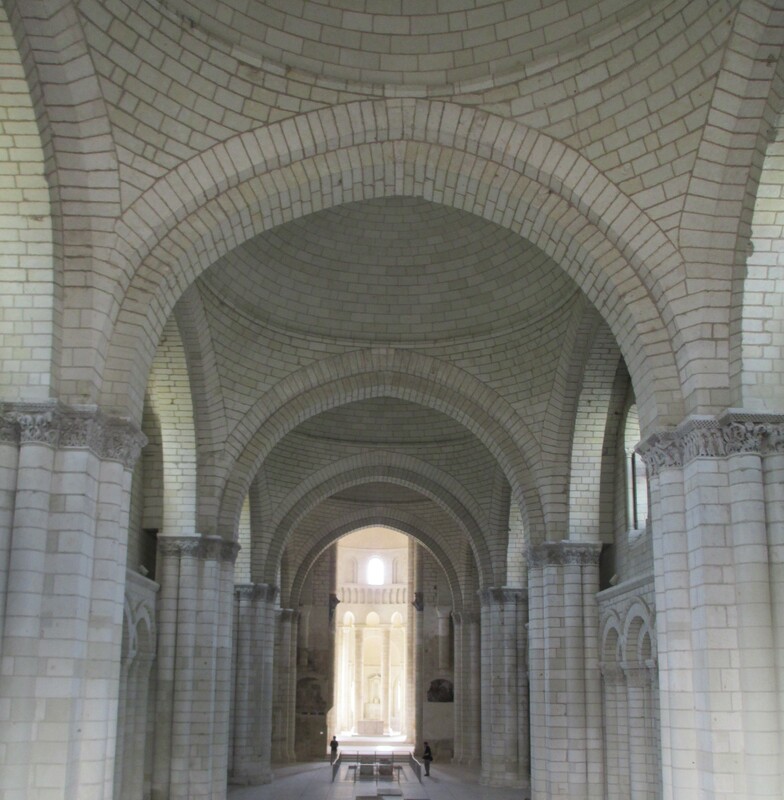 Despite this when he died on February 25th 1116 and was buried at Fontevraud, Fontevraud and the daughter houses it had established were, as described by Venarde, “Well on the way to becoming the wealthiest order of monasteries for women in Roman Catholic Europe.” (Venarde, xxii). The statutes of Fontrevraud are reasonably clear but they don’t conform exactly to specific monastic orders. Sisters and brothers lived and worshipped together. The women were guided by the rule of St Benedict, but the statutes don’t make clear whether the male members are to follow Benedictine or Augustine rule. So they are neither monks nor cannons, they are simply called brothers and Robert makes clear they are in the service of and obedient to the women of Fontevraud. (Venarde, 84-87). There were a number of interesting women who became Abbesses of Fontevraud, Petronilla the first Abbess being one of them. She was a noble widow who became a follower of Robert’s and he personally appointed her the first Abbess of Fontevraud. Another was Matilda of Anjou. She was abbess from c. 1150 -1158. She is remarkable because if not for one of the most interesting accidents in the medieval period she would have been Queen of England. She was the daughter of Fulke the V of Anjou, the brother of Ermengarde and patron of Robert, but she was married to William the only legitimate son of Henry I. William drowned on the White Ship in 1120 along with much of the young nobility of England and France. Matilda could have remained at court and she did for a time. Henry I was more than happy to have her and he would have married her off again. 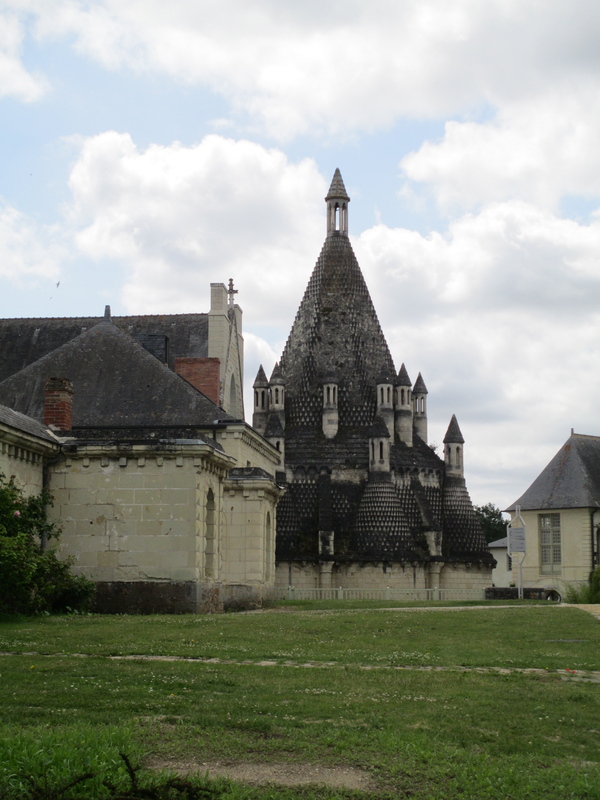 In the end though she took vows at Fontevraud in c. 1128 and became Abbess there in c. 1150. 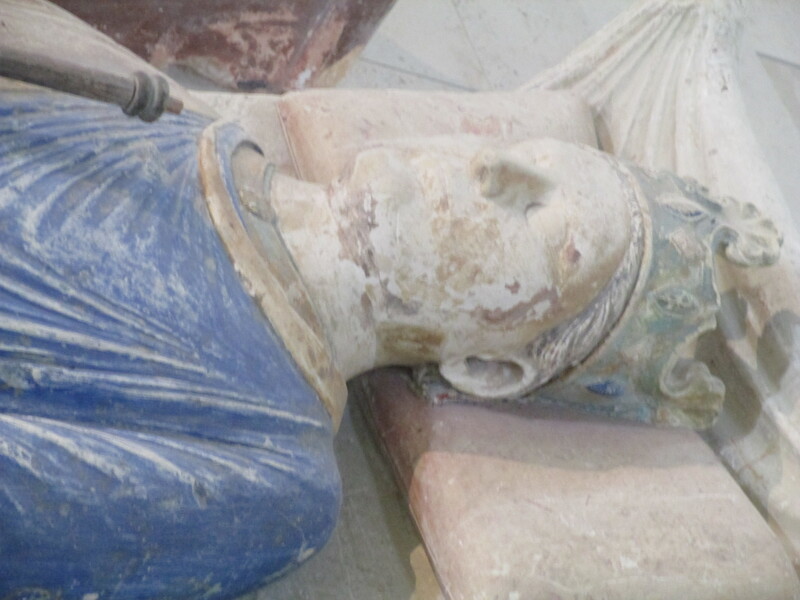 Many of the early Plantagenets were patrons of Fontevraud, as evidenced by the fact that four of the them are buried there. 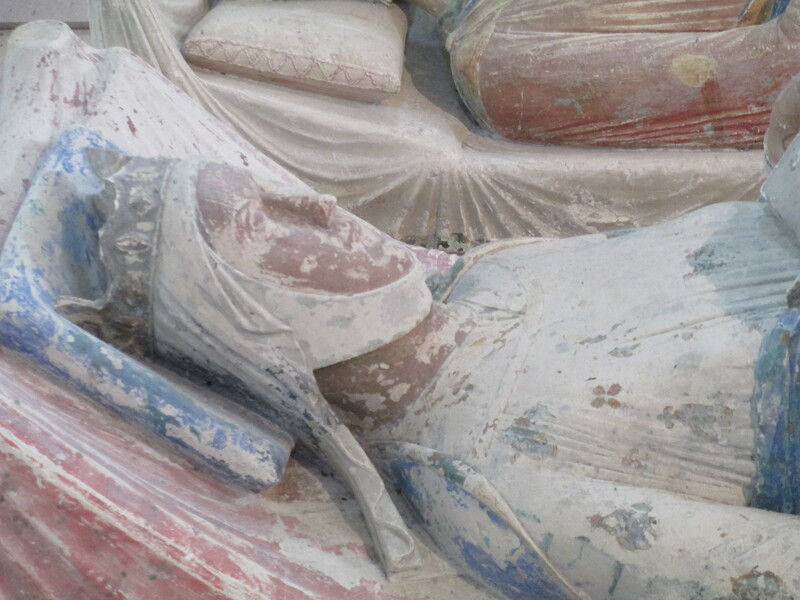 Indeed Eleanor of Aquitaine spent her last years there and died there in the 1204. She was a great patron of Fontevraud throughout her life. One of her surviving charters is evidence of her patronage. In this charter she gives the abbey and the “nuns serving God there” the “rent of one hundred pounds, in perpetual alms, from the provosture of Poitiers and the vineyard of Benon, particularly what is received from Marcilly.” (Epistolae). Fontevraud as a complex of buildings has gone through many changes since it was built. The church was begun to hold the body of Robert and is Romanesque in style with a Byzantine influence. It dates from successive periods in the 1100s. You can see the interior below. You can see the spectacular grandeur of Fontevraud’s exterior built in the beautiful creamy local tuffeau stone in the photos below. When it was built much of the interior would have been painted. Some of the early paint remains in fragmented sections. Some of the later paintings can be seen in more detail. 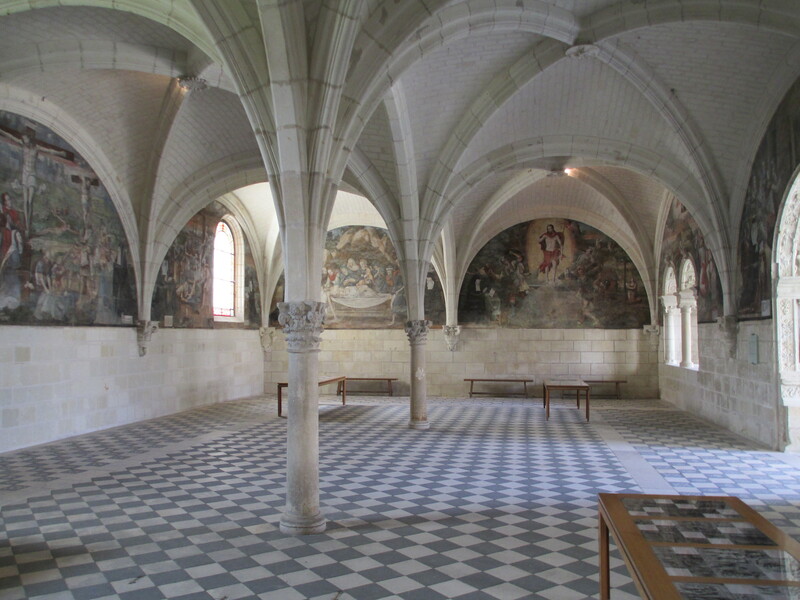 As can be seen in the chapter house photo below, which was painted and remodelled in the 16th century to show the wealth and prestige of King Francis I. Probably my favourite of all the buildings is the kitchen. 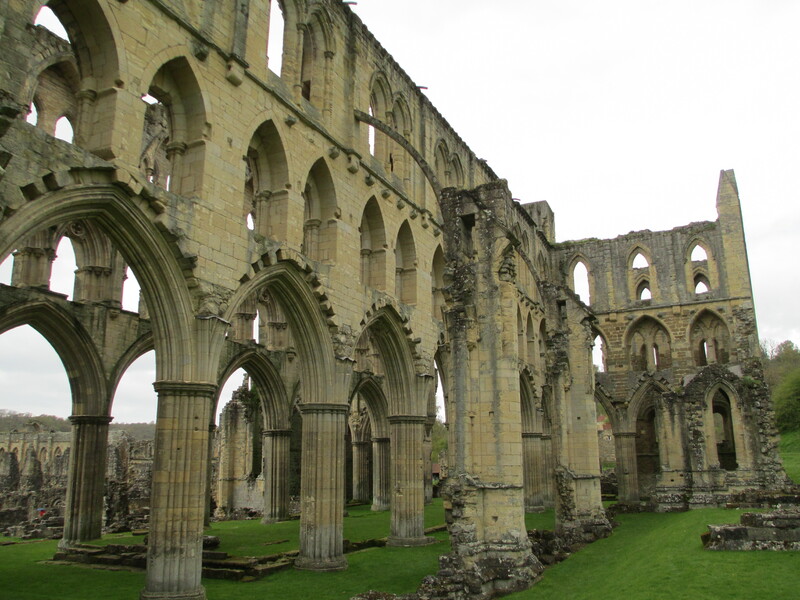 It dates to the early 1100s though it has been remodelled. It is built of the more heat resistant charente stone. 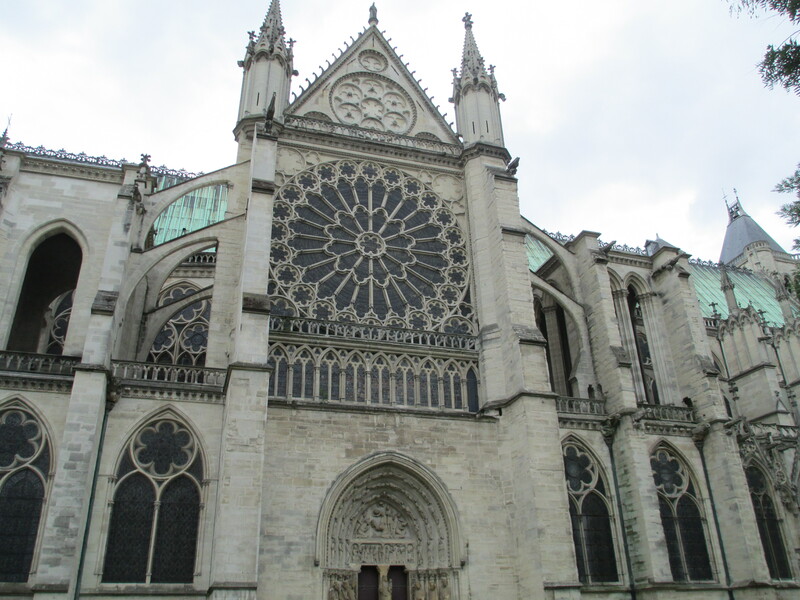 It is also built in the Byzantine Romanesque style brought back from the crusades. The interior is constructed so one embrasure was used to make hot coals and the meals were cooked in the embrasures away from the prevailing wind to prevent the blowback of smoke. The central chimney got rid of both smoke and vapours. 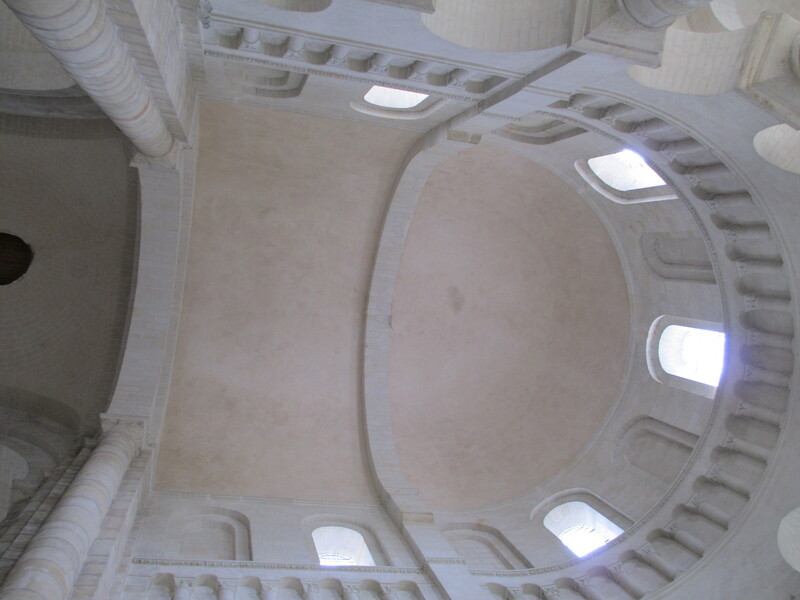 The fact that anything of Fontevraud survives at all is really saying something because it was deconsecrated in the revolution and Napoleon decided to use it as a prison in 1804 and it remained one for a long time. In fact the last prisoners left in 1985. The abbey was completely restored in the 20th century and now is also used for a variety of art installations such as the two that can be seen below. The first was in the dormitories and the second was in the cloister and could be walked on, giving you different perspectives of an ancient building. The gardens are also absolutely worth visiting. It is a truly beautiful place with a fascinating history. A place where the calm seems to have seeped into the stone. 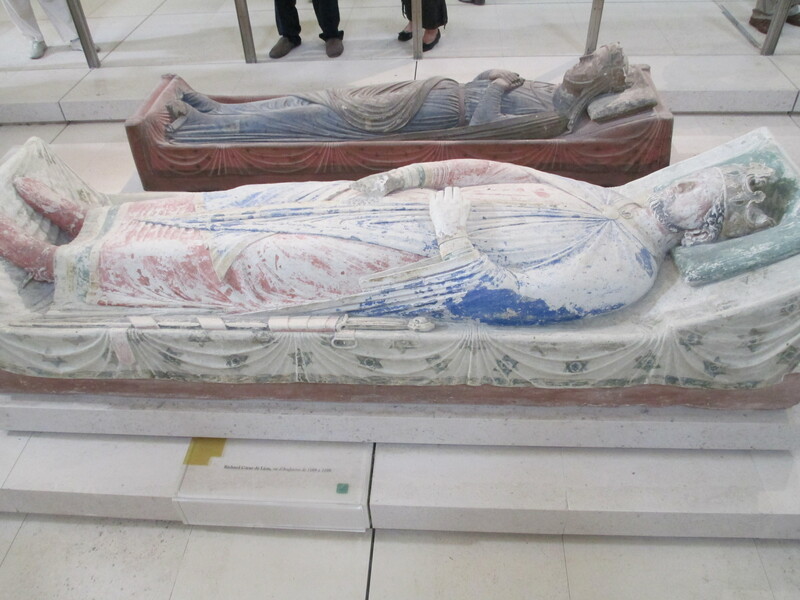 I went to Fontevraud so I could see Eleanor of Aquitaine’s tomb but it is much more than that. It is truly one of the most incredible places I have ever been. Bruce L. Venarde. Robert of Arbrissel. ISBN: 9780813213545. Eleanor of Aquitaine Charter to Fontevrault, 1185 at http://epistolae.ccnmtl.columbia.edu/letter/885.html, accessed 26/9/2010. 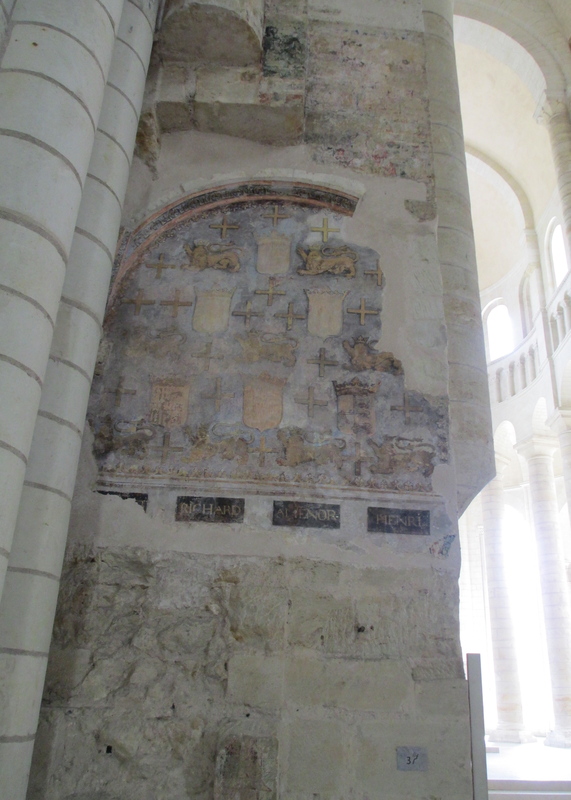 Other sources include the signs at Fontevraud, and my university course notes on monasticism.